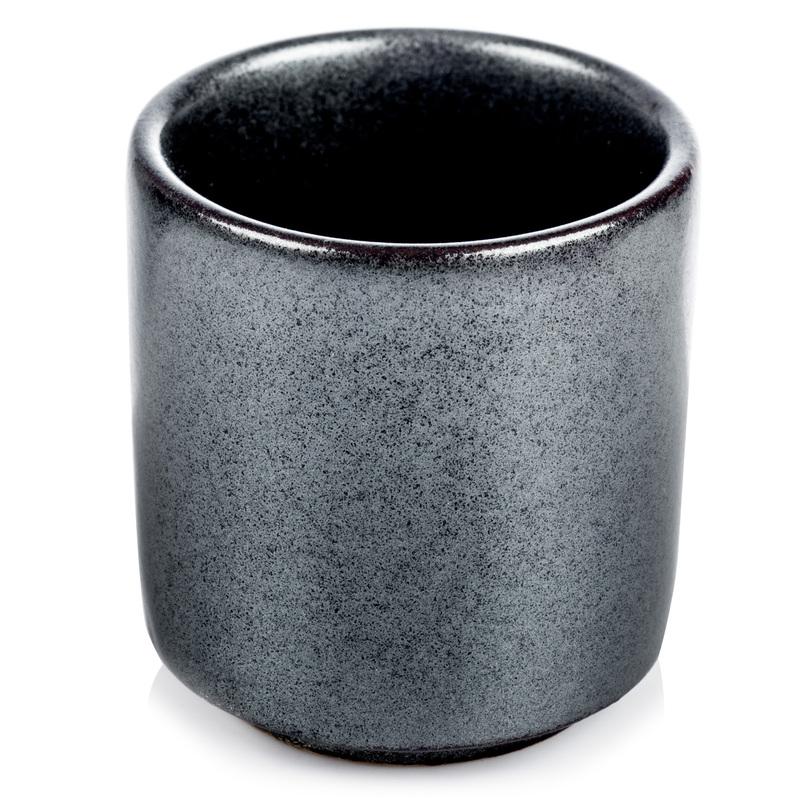 The Sumi Grey Japanese Sake Cup is a very cool charcoal grey ceramic authentic Japanese sake cup. Exclusive to The Japanese Shop, made in Japan and suitable for use in a dishwasher and microwave. Size: 4cm dia. x 4.5cm high / 1.5 inches x 1.75 inches. Excellent with sushi, drink hot (one minute in the microwave!) in the winter and ice cold in the summer. Ideal present for all sake drinkers - enjoy your sake in the traditional Japanese way! 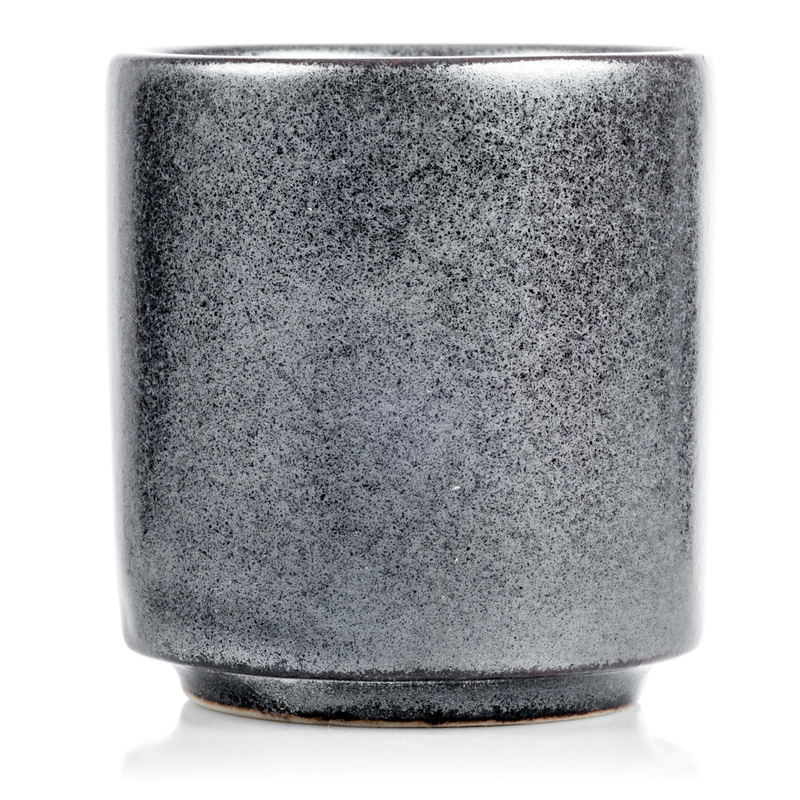 Enjoy your sake in style with the Sumi Grey Japanese Sake Cup, a very cool charcoal grey (sumi means charcoal) traditional Japanese sake cup. Sake (pronounced sa-keh) is a Japanese rice wine which can be enjoyed hot (one minute in the microwave!) or cold and tastes particularly good with sushi and sashimi! Exclusive to The Japanese Shop and made in Japan from a good quality porcelain the Sumi Grey Japanese Sake Cup would make an ideal Japanese present for all sake drinkers! Suitable for use in a dishwasher and microwave. Order your Sumi Grey Japanese Sake Cups online today and have them gift wrapped Japanese style free of charge, or visit our showroom for this and more authentic Japanese sake cups! Hi, Wonderful delivery service, packed and the gift wrapping is so perfect. Bought our d-I-l a kimono for her December birthday and she was absolutely thrilled with it, now bought one for son to wear as he drinks his saki! Thank you.